Thanks to the invention of a writing system, our ancestors were able to set down their feelings, thoughts, wants, and observations into a tangible form. Perhaps it was because they want to leave something that will outlast them. Or maybe, they really just don’t want to forget things and instead keep track of how many sheep they own, who owes them a sack of grain, and who can give a substantial dowry for their daughter. These simple reasons for record-keeping has continued to evolve and now, two millenia later, we have forms for completing almost every task/process in the world. Most people may not realize it, but the use of application forms is as common place as smart phone usage today. People use this from in different daily transactions from job hunting to filing for loans. This article will talk all about sample application forms that are used in different industries. It contains a comprehensive list of many application forms that you most certainly use at least once in your adult life. An application form is a document that contains one’s personal information and other additional data necessary for you to be considered for a position, thing, claim, or property. These forms are often treated as formal documents since they may be used for evaluating you based on the information found in your form. Different organizations will have their own way of designing their forms so it’s better to study sample application forms ahead of time before signing one. Application forms may also be obtained directly from the organization that you wish to conduct business with. But most of the time, these forms may be found on the company website too. They streamline any application submission process. Whatever the application form is for, the use of application forms can greatly help in simplifying an organization’s application process. To illustrate, financial institutions who utilize standardized loan application forms will have more time to focus on the technical aspect of checking a person’s eligibility and approving/disapproving loans instead of combing through the different paperwork that may come with non-standardized loan applications. These forms are easy to fill out. Application forms are not only useful to the organizations requiring them. They also benefit the people filling out these forms. For instance, individuals who want to submit college applications will only need to fill out basic personal information on the document. Some application forms may even require you to place check boxes on the applicable answers on the form. Most questions on these forms are self-explanatory so you do not need to ‘study’ for it. It saves you time. 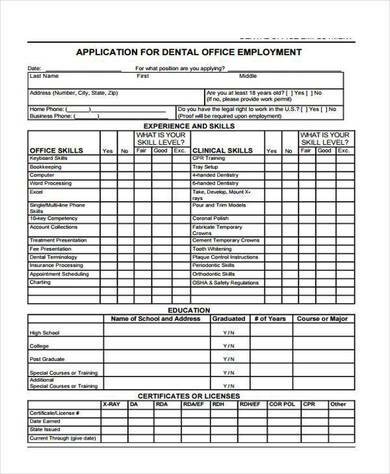 To those who are job-hunting, job application forms can be a blessing since you can photocopy them and distribute to as many employers that you are applying for. This way, you do not have to manually fill out forms or resumes tailored for each employer. Yes, there is a benefit to crafting personalized resumes or application forms. That is why you also have to carefully edit the job type, company name, and some small details on the application form before mass producing it for other job applications. It introduces you to the individual/employer/property owner/institution who is requiring the application form. An application form, primarily serves as a mechanism for introducing applicants without bias. Whether the application is for a job, a rental home, a loan, a slot for a specific university, or for getting medical insurance, the application form will let the concerned party know about you and whether or not they want to have business with you. Basic personal information like name, address, date of birth, age, contact information. Application submission, especially employment, loan, and college application form submissions, can be daunting. In addition to submitting other documents along with the application, you will never know if your application will be approved or not. It’s time to Relax and Rest. This especially applies to students who have just submitted their university admission applications. You have undoubtedly worked hard all throughout your high school years (and possibly your whole life too) to gain a high GPA and engage in extracurricular activities just to get a chance to get into your dream university. And now that you have submitted your application and have done your best, it’s time to rest and relax. Take a vacation. For the period of time between application deadline and releasing of results, enjoy the rest of your high school and take a break. You deserve it. If this happens, remember that this is not your fault. There are other banks, schools, and employers in your area who could give you a loan, a scholarship, a job, and perhaps even all those three at the same time. You just have to at least be a little resilient and your application will be somehow approved. Do other things that interests you instead.Sometimes, things and events do not follow your schedule. What you can control instead is your actions. Use the time while waiting for an application approval in improving yourself, your finances, your exercise habits, your dancing skills, your level in Mario Kart. When the results come out, you will find yourself a new person and that’s a good thing instead of spending your worrying. When we say that this article is All About Application Forms, we really mean that. In this write-up, we have included ten different sub-categories of application forms along with subsequent downloadable examples. Depending on the application form that you need, you can just skim through the list and find the one that best applies to your situation. Job/Employment Application Forms. Job application forms are routinely used in any industry that needs new employees. These forms can easily be obtained from the organization where you are applying at. These kinds of application forms are the ones that people readily associates with application forms. Do note that whatever the kind of industry you are in, there will be more variations of employment application forms available. Job application forms may further sub-categorized into application forms for each type of profession. 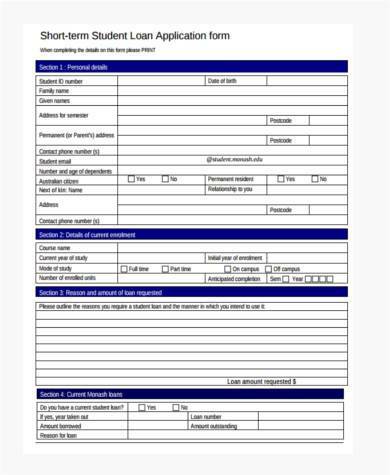 A nurse application form is an example of a job application form. Marriage Application Forms. 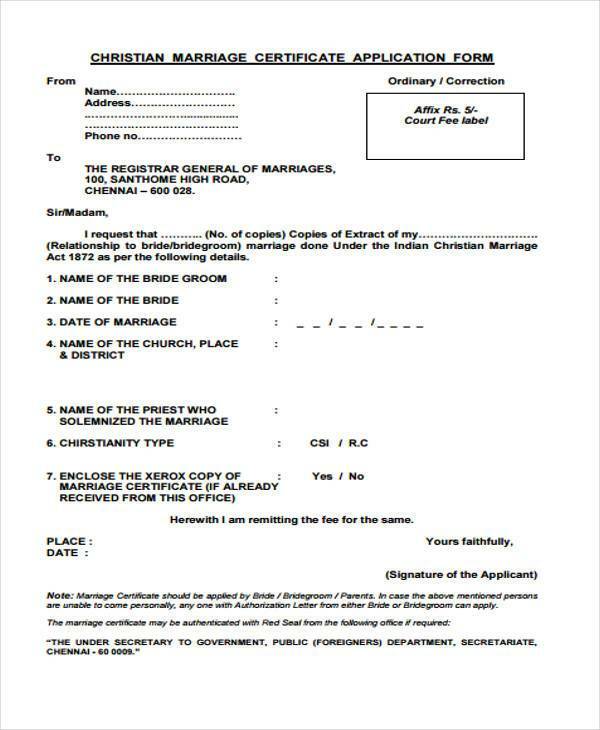 Filling out marriage application forms is compulsory for anyone who wants to tie the knot – whether in a church wedding or a civil wedding. This form is also the basis for the marriage contract and is a legal and irrevocable document. Marriage application forms are valid within a period of time and couples may choose a date within that time period for their wedding. In divorce cases, marriage application forms and marriage contracts will be voided. In order for person to sign a marriage application form, he or she needs to be at least 18 years of age (or whatever is the legal age in your country). In other countries where divorce is not yet allowed, dissolution of marriage may not be possible. That is why, signatories of a marriage application form need to think over the potentially life-changing decision of getting married or not. Business Application Forms. 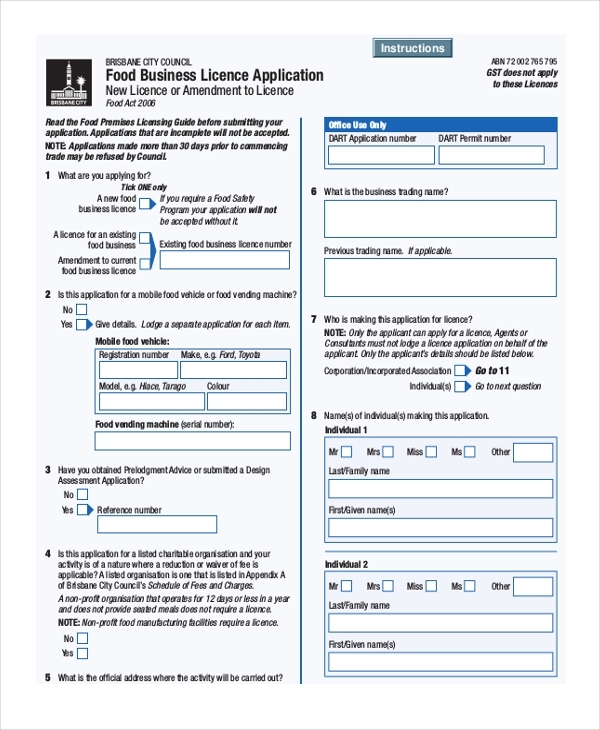 Individuals or groups of individuals who wish to start a business also need to fill out business application forms as part of a business startup process. These forms are usually submitted to the local government office for review and approval. Once business application forms are approved, the company is permitted to start their operations. Filling out these forms will often also include submitting other regulatory documents like building permits, sanitation permits, business tax records, and many others. 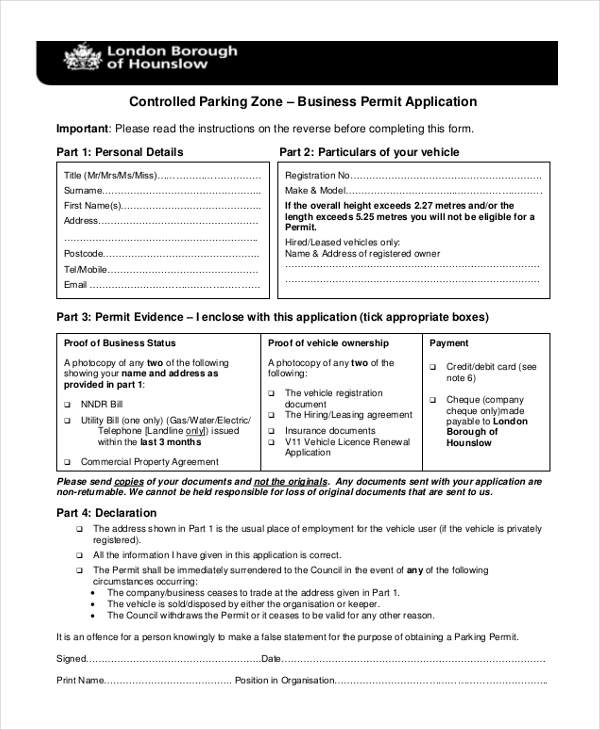 When completing a business application form, remember that these forms are government-mandated documents. As a business owner, you need to be truthful on the forms and follow safety guidelines in your business premises. 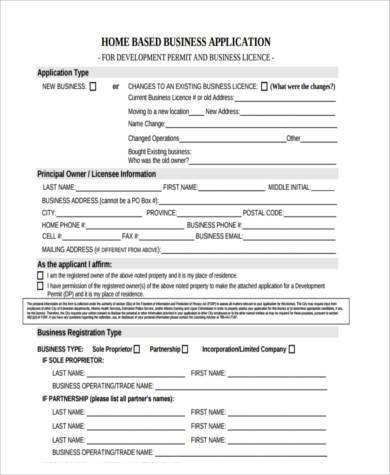 Submitting these forms is only the first step of a long process for starting any business. You will likely still need to submit other forms, undergo inspections, and pay for other permits before your startup becomes legal and recognized by the government. 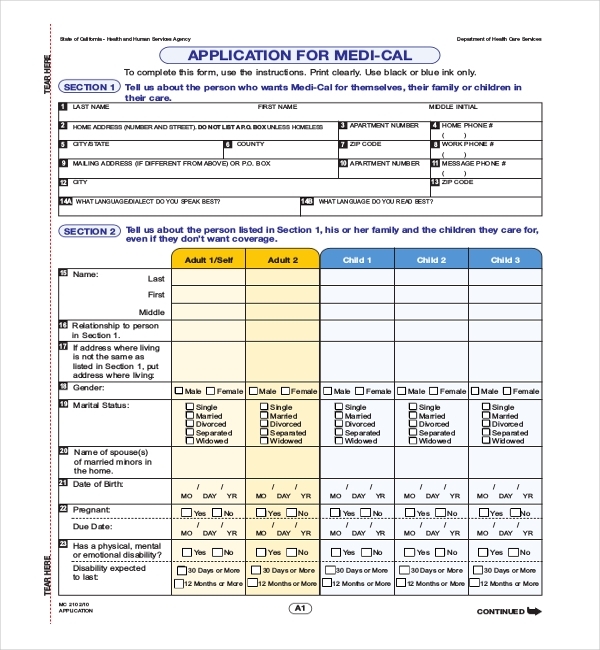 Health Care/Medical Application Forms. 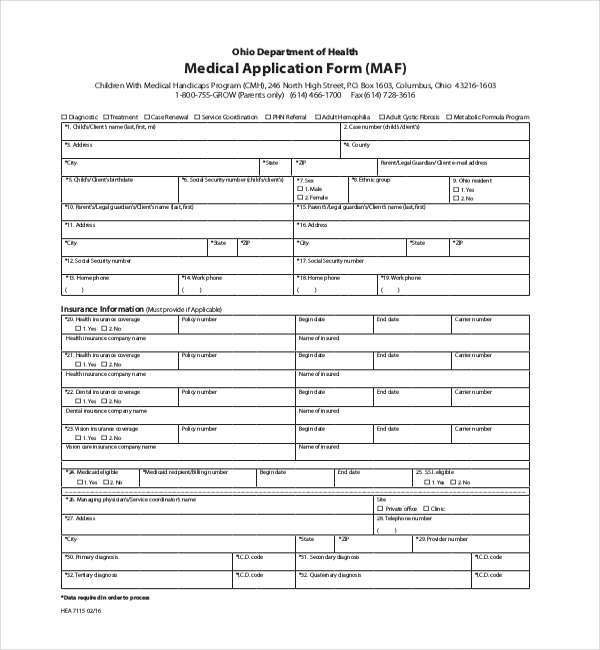 Another type of application form is a health care/medical application form. 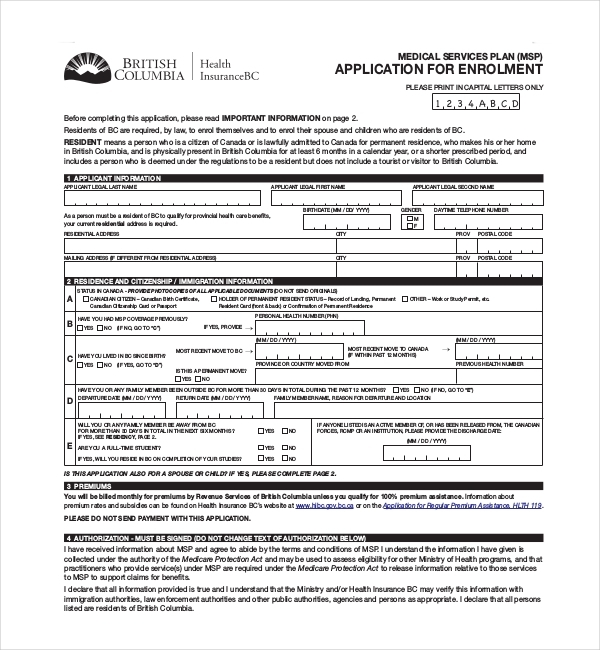 As its name imply, this form is used when signing up for health insurance coverage. To employed individuals, filling out this form is usually part of an employee’s compensation package. Payment of any health maintenance organization (HMO) coverage will be paid for by the employer. Signing medical application forms will also require you undergo a thorough medical examination to help screen for pre-existing conditions. Other forms of medical insurance is also available for self-employed or unemployed individuals. Governments even offer subsidized health insurance plans that most low income earners can take part of. If you are unsure of which medical insurance company to choose, you can go to their websites and read about the different insurance plans that a company offers. Passport Application Forms. Most countries in the world have their own system in place for processing the release of passports for their citizens. The passport application process is a very security-intensive process that individuals need to undergo. When you fill out a passport application form, you always need to provide accurate and consistent information. In addition, you need to undergo background security checks to prove your identity and that you are not a criminal. Biometric data will also be obtained. Passports have an expiration date so you will need to renew it every few years or so by filling out a passport renewal form. Security checks and biometric data acquisition will still be required for passport renewal. 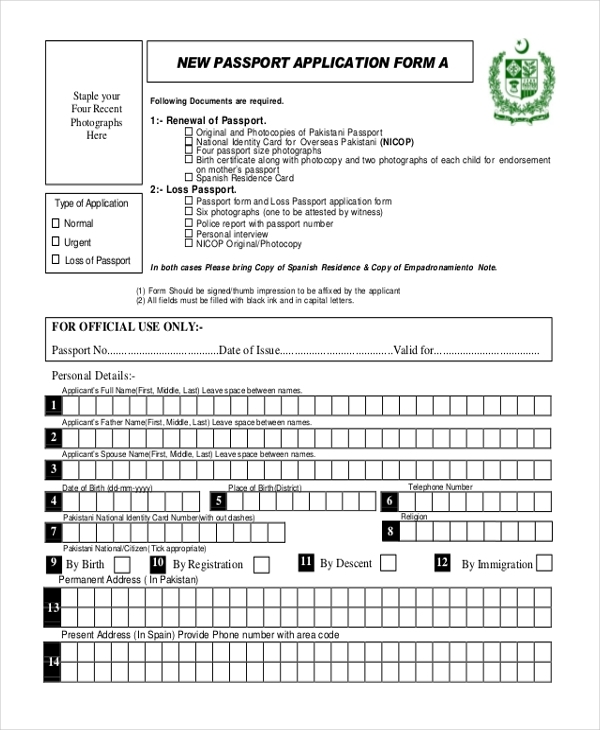 A passport application form is one of the application forms that are considered legal and binding after you have affixed your signature on the form. 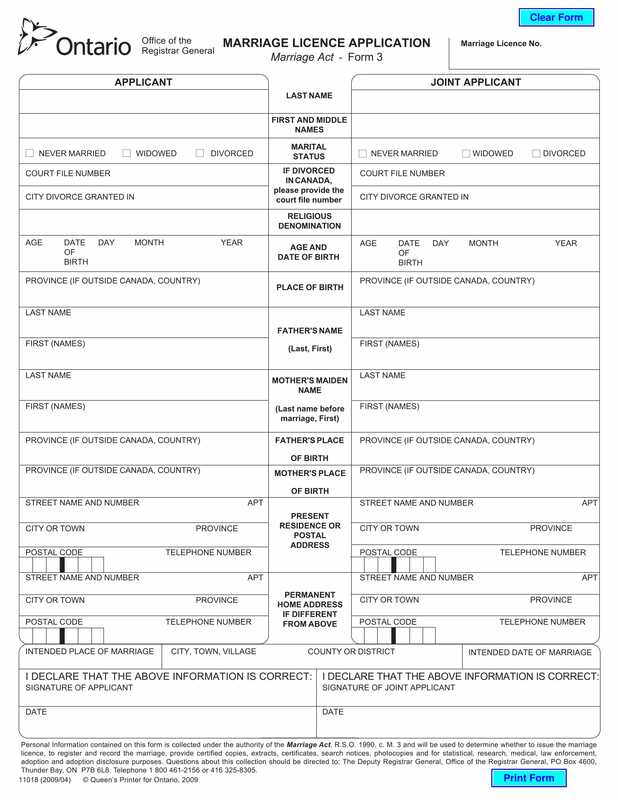 Governments use this form as sworn statement of your truthfulness in supplying the information on the form. These security steps are taken to avoid high risk individuals (like terrorists) entering the country. 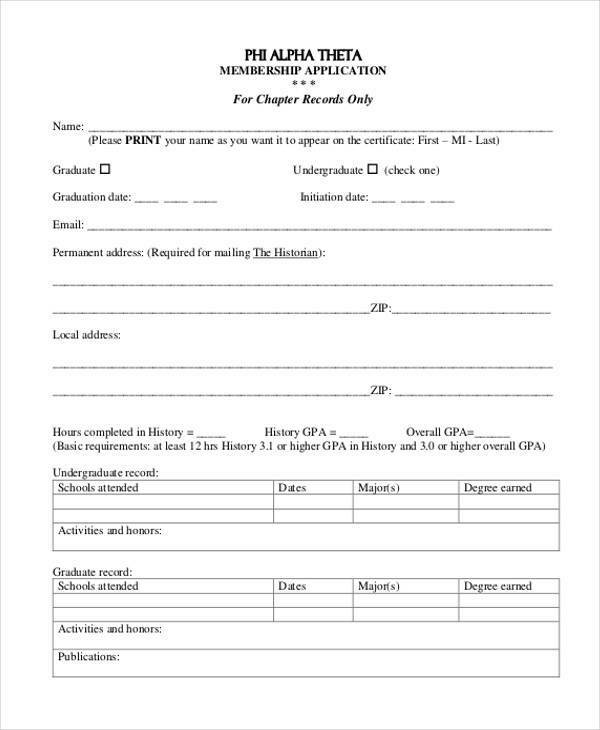 Membership Application Form. Yes, that form you used to sign up for a gym is also an application gym. 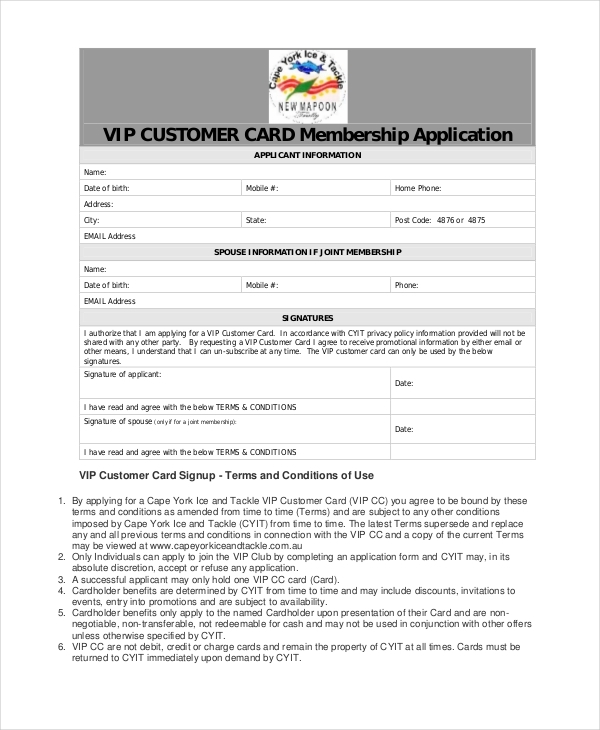 More specifically, this form is classified as membership application form. You use this form if you want to sign up for a club, website, classes, or any group that benefits you. And usually, membership application forms go hand in hand with also paying for the membership. This happens when signing up for gym services, exclusive app access, painting classes, or even access to an airline’s loyalty flyer’s club. 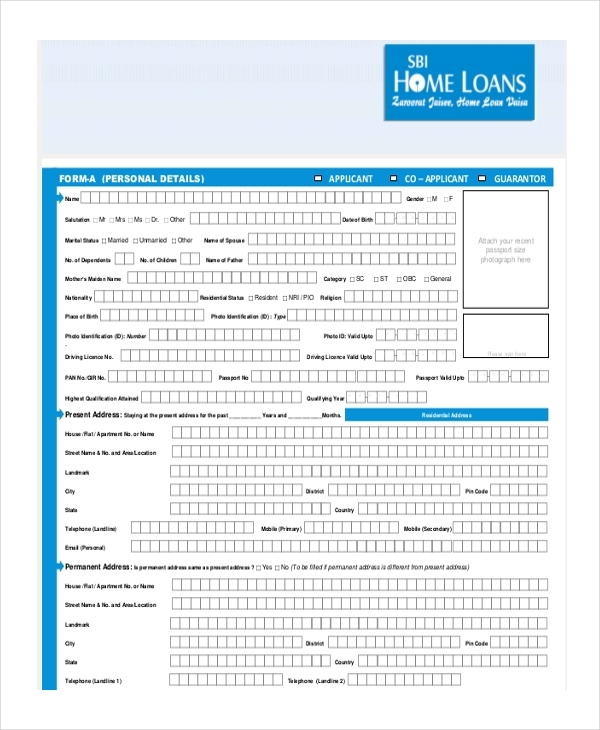 Loan Application Form. 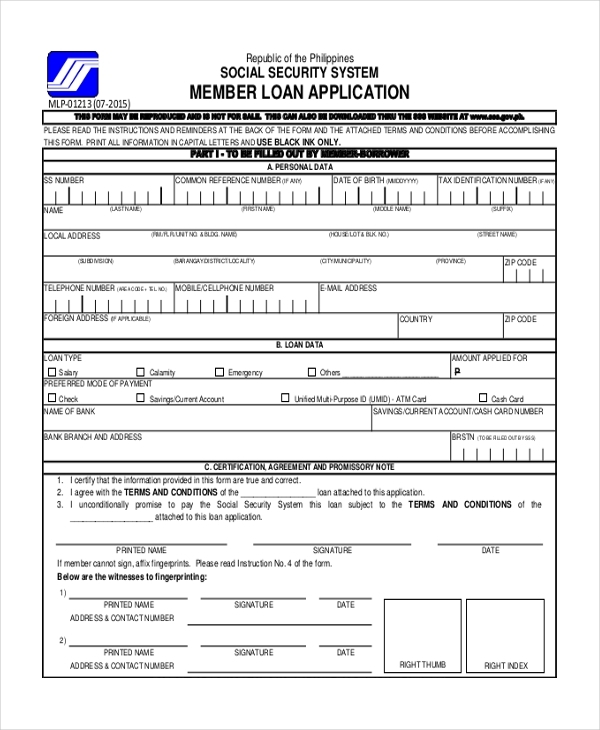 Loan application forms are submitted to bank and other financial institutions when individuals want to ask for a loan. Loan applications will often include verbiage asking for a client’s consent in conducting background checks and income verification. When filling out these forms, make sure to read the application’s fine print so that you will not be surprised of the credit inquiries that may reflect in your credit report. When filing loan applications to multiple financial institutions, remember that all these institutions may request for hard credit checks. Credit reporting bureaus may have a way to decrease the effect of these multiple inquiries on your credit score, but it is better to limit the number of banks or creditors you send the application forms to. Funny Relationship Application Forms. Oh, yes. If there are application forms geared towards the more serious trades, there will also be application forms crafted for the less serious ones. 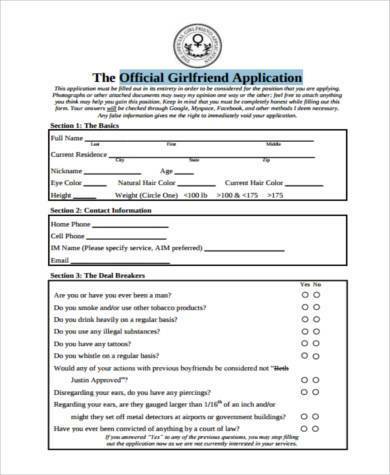 An example is a boyfriend/girlfriend application form. 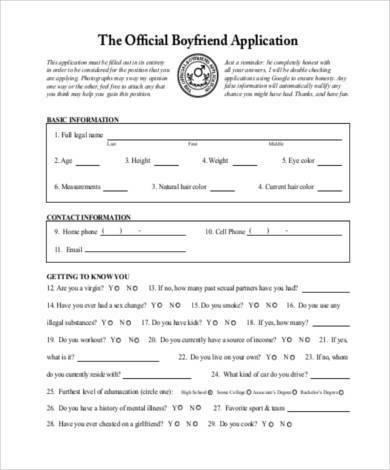 This form is used by individuals who wish to apply to as another person’s boyfriend or girlfriend. The sample forms included in this article are crafted in a businesslike language so you should not worry about it is too silly when you present it to a potential partner. If you look at it another way, the whole act can be endearing and cute, especially if you use it to win over a girl. 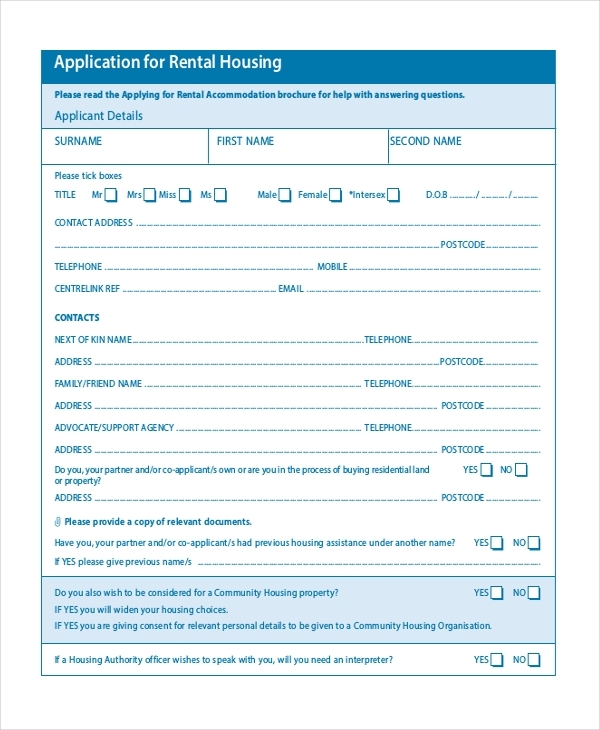 Housing/Tenant Application Form. When looking for a place to live in, most landlords will require prospective tenants to first fill out a tenant application form. This form allows a landlord to know more about the tenant in terms of his/her ability to make monthly rent payments. Tenant application forms will also often include consent forms for the landlord to conduct background checks on the individual. 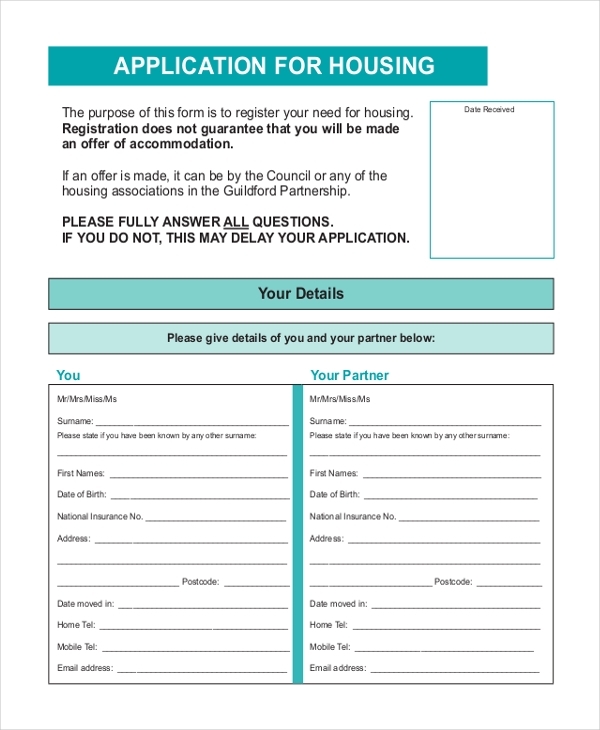 On the other hand, another type of form used by individuals to find a place to live in is a housing application form. 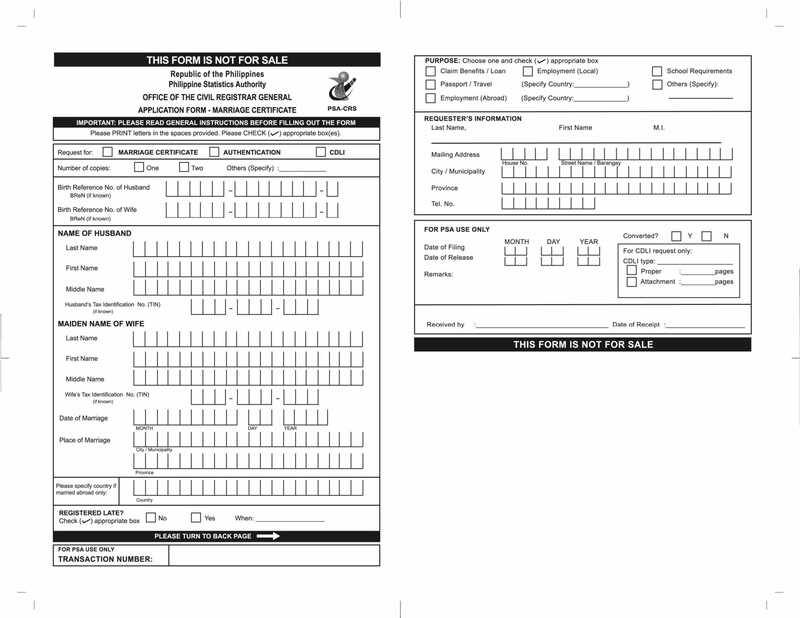 These forms are often used for requesting housing grants from the government. Filling out housing application forms will also include being willing to undergo income verification processes since these housing grants are given only to those who cannot normally afford to buy their homes but still can afford to make subsidized monthly payments. 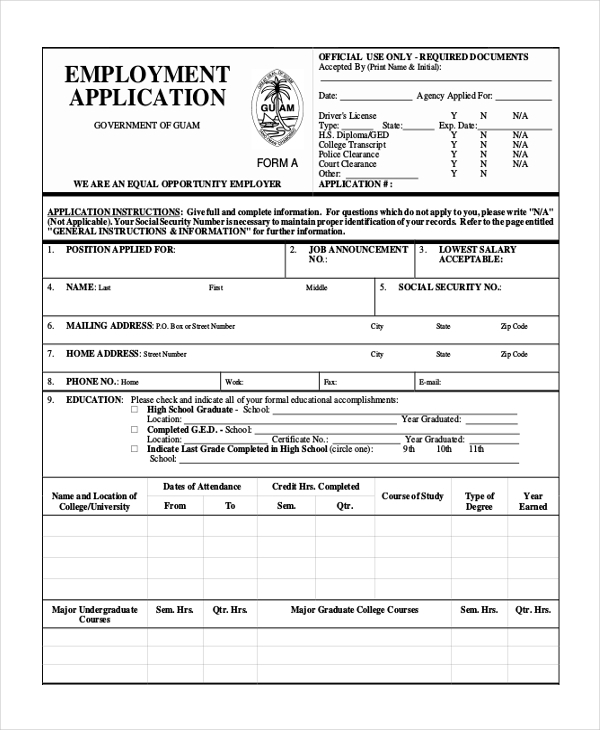 School/College Application Forms. 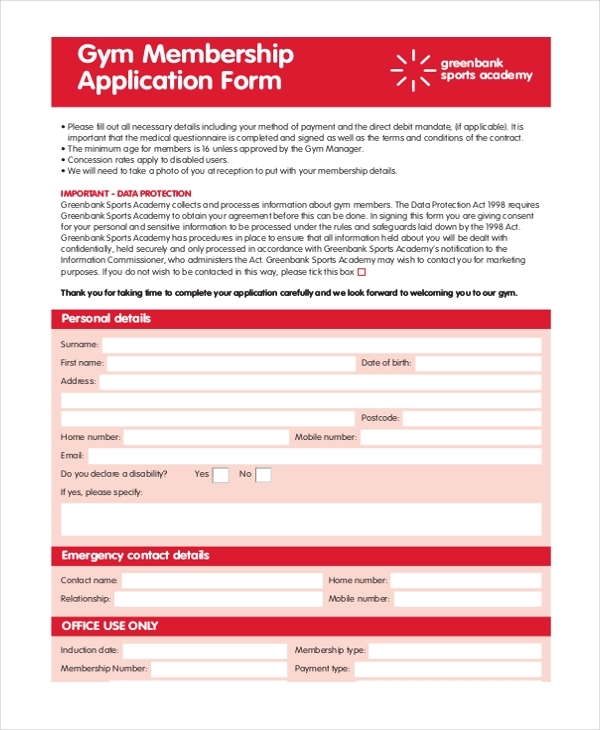 These forms are used when applying for a new school to attend. 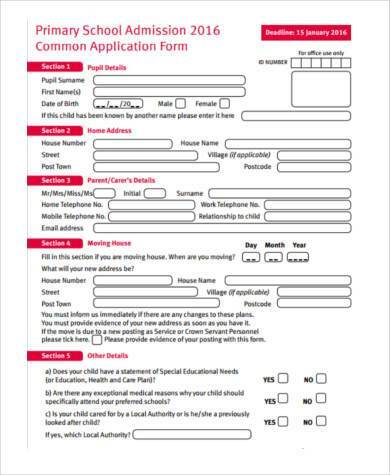 When filling out school application forms, parents and students need to double-check their entries on the form since any mistake could reflect on a student’s academic record. 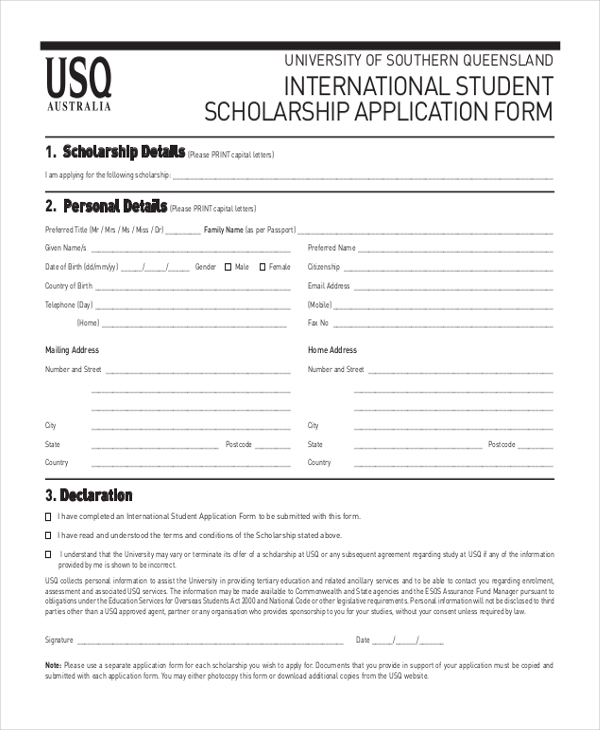 For colleges and universities, they may use online application forms where students will just need to enter their personal information and any scholastic data over the school’s website. In these cases, treat the process just like filling out a physical paper form. Remember to review any information you write before proceeding to the next section. Often, online college application forms will allow you to edit the entries you inputted before the application deadline. In addition to submitting your application online, you will still be asked to submit paper copies of your birth, academic, and standardized tests records to the university’s office of admissions. Also remember that colleges and universities may require prospective students to fill out separate scholarship application forms if the students want to receive student financial aid. Avoid spelling mistakes. Yes, this is a tip for beginners and everyone should still need to relearn it. Spelling errors in your application forms can result to a few laughs but may also lead to scenarios like incorrect information written in your permanent school records. Spelling mistakes are easy to spot especially when you use word processing documents. 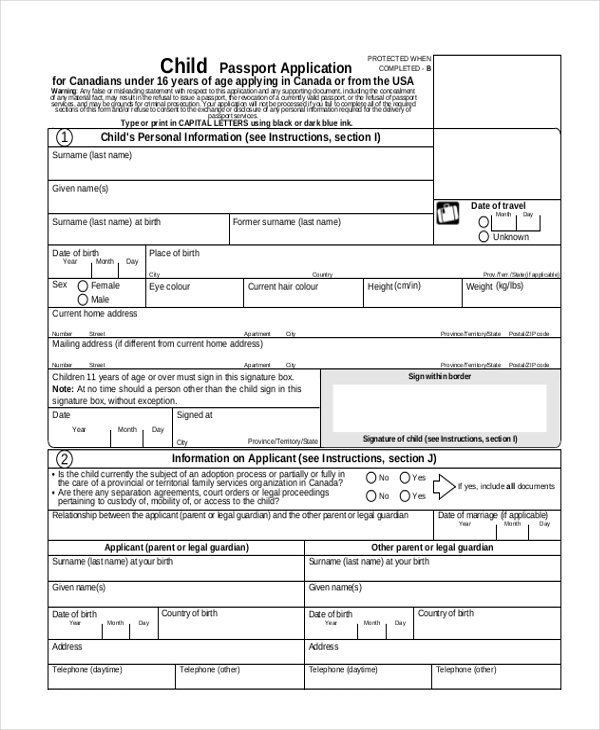 Or, if you are filling out a physical passport application form, you can ask another person to review the form before you affix your signature. It is better to ask for another person’s assistance while answering the form instead of dealing of the aftermath of an incorrectly spelled name in your passport. Always write accurate personal and financial information. It is best to treat any application as an official document. Employers, governments, school administration, banks, and property owners rely on the document for various reasons. Your applications also have a greater chance of being approved if it matches the verified information that these institutions do. You also do not want to be charged with perjury or false testimony if you are found to be guilty of using false information for, let’s say, your passport. Do not lie about you educational and/or employment background. This tip is in connection with the previous tip. Companies have a way of verifying the scholastic and employment history of any prospective employee. If you really want this specific job at this specific company, do not waste your time on dishonesty and instead invest it into being an asset to this new company. Research your company. This tip mostly applies to individuals who are seeking new jobs. Knowing a lot about a company prior to your employment allows you to properly assess if you really want to work with them. By doing this, you do not waste the company’s time and effort. Most importantly, you become a more dedicated employee when the company finally hires you. Make a sample application form into your own. There a number of sample application forms for any field or industry that you can think of available online. And this article can attest to that. 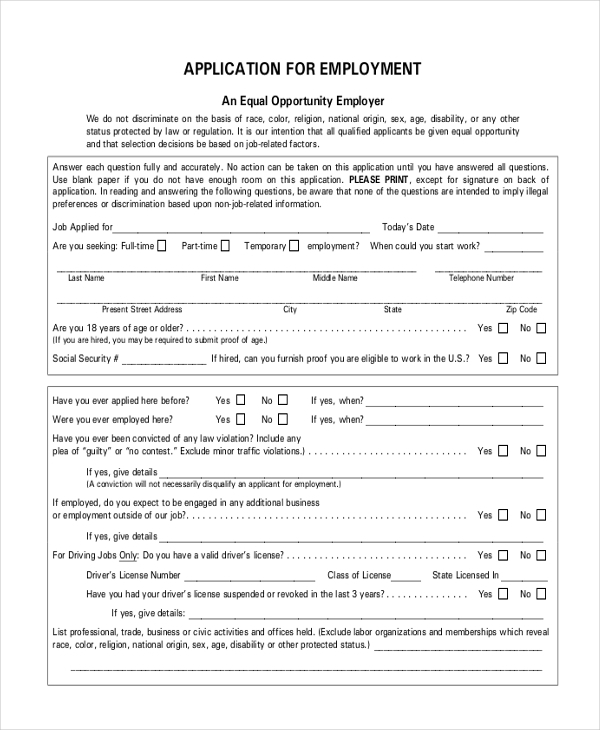 You are free to download and study these application forms before you fill out the real thing. But, always ensure that the answers you write in your application form are your own, not some copy-pasted things from the internet. Human resource personnel will know if your application form answer have been copied. University admission departments will know if the essay portion of your college application form has been copied. So just avoid any trouble and make your sample application form your own. And that’s it! 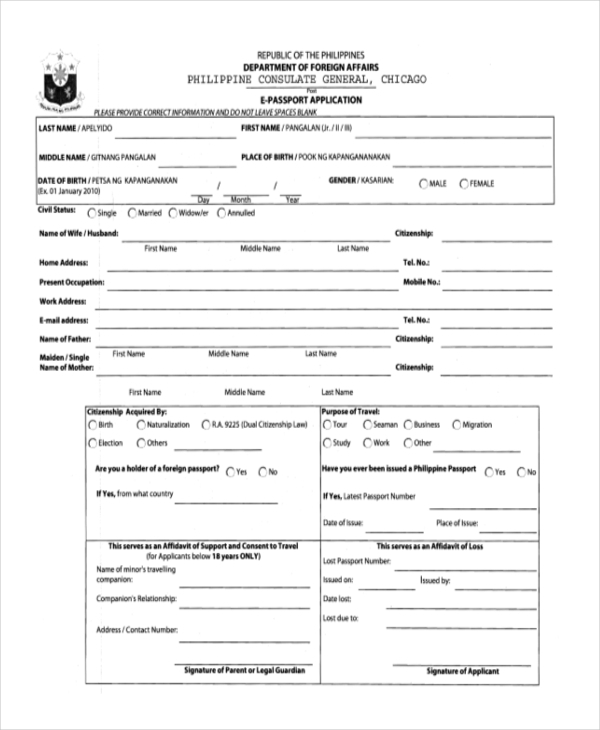 A comprehensive list of different application forms and their sub-categories – from marriage application forms to business application forms. Hopefully this allowed you learn more about the different application forms you can use in your daily life.